Depreciation can result in more than 60% of a car's value being lost in just three years - and sometimes up to 30% as soon as it is driven off the forecourt - leaving owners and lessees vulnerable to a shortfall. Typically, the more valuable the car, the greater the risk. With over 700,000 cars stolen or damaged beyond repair annually, GAP Cover Insurance pays the difference between the insurer's contribution and the true value of the car. Rather than pay a franchised dealer £300 or more for three years GAP cover (its a big commission earner) you can now buy it for as little as £120 via Warranty Direct. We checked, and to cover HJ's 2008 FIAT 500 to a total value of £7,250 would cost just £118 for three years cover. 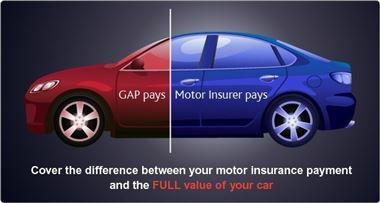 Motorists who suffer the misfortune of having to replace their car are often forced to buy a cheaper vehicle because the 'gap' is so great. In some circumstances, if the owner is leasing their car, they may end up in debt and without a vehicle. Available at www.gapcoverinsurance.co.uk, the latest product from the long established UK firm offers owners the reassurance that if their pride and joy is stolen or written off they won't be left with an inferior replacement. Warranty Direct Managing Director, Duncan McClure Fisher, says: "We've seen some pretty shocking examples of owners having to stump up many thousands of pounds through no fault of their own. "Our new product is a cheap and effective way of saving a lot of cash if a car's stolen or written off and a shortfall remains." Three levels of cover are available: Return to Value (difference between value at start of cover and insurer's payment); Return to Invoice (difference between dealer's invoice value and insurer's payment) and Vehicle Replacement (difference between insurer's payment and list price of similar brand new car).